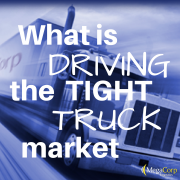 There are a multitude of factors contributing to the tight truck market that we will cover in this article: ELD Mandate, Consumer Confidence/Spot Market, Driver Shortage, Visa Enforcement and Weather. 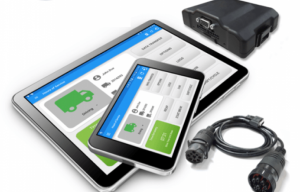 The Federal Motor Carrier Safety Administration (FMCSA), a branch of the US Department of Transportation (DOT), has mandated the installation of ELDs (Electronic Logging Devices) for drivers that are currently required to prepare Hours of Service (HOS) records. 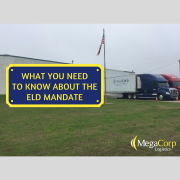 An ELD is a technology device that automatically records a driver’s driving time, facilitates the accurate recording of the driver’s HOS, and that has been approved by the FMCSA. 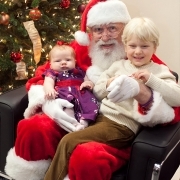 The effective date was December 18, 2017. According to the Journal of Commerce, the mandate means, “Tighter delivery schedules for shippers and less inherent flexibility in supply chains.” A survey of over 2,000 owner-operators by Overdrive.com revealed that 14% of respondents reported having shut down in protest or left the trucking business as a result of the mandate. This equates to 98,000 trucks off the road. 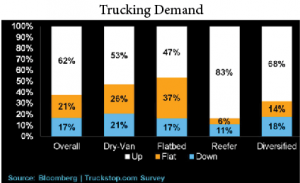 Fewer trucks on the road means that trucks are in high demand which contributes to inflated prices. Many traditional, next-day delivery lanes will be impacted due to less operating hours available for drivers to squeeze out extra miles. Drivers may not be able to make next day delivery commitments, which pulls capacity from the market. 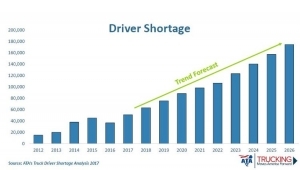 Team drivers will become more in demand which will cost the customer more money in order to pay for two drivers. Truck parking becomes scarce as hours are depleted and drivers have to use their “on-duty” hours to find parking. Delays on the dock causes detention which jeopardizes the carrier’s next appointment. This costs the carrier even more when driver’s hours cannot be extended. The motor carriers will not be able to make up their time, due to parking issues, detention and hours of service. 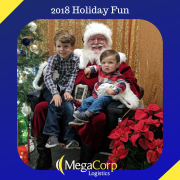 If a truck cannot get loaded in time, they may run out of hours and have to wait 10 hours for a fresh drive clock before they can move again causing service interruption and increased costs. 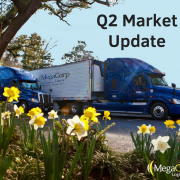 Trucking demand rose 5.5% in the fourth quarter of 2017 according to a Truckstop.com survey. Import growth was the strongest it has been since 2010, with a 6% increase in 2017, according to KeyBanc Capital Markets. The Consumer Confidence Index rose to 129.5 in November 2017, the highest mark since the index hit 132.6 in November 2000. 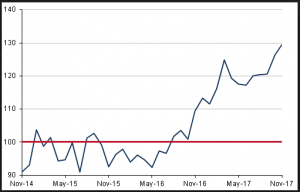 The index takes into account Americans’ views of current economic conditions and their expectations for the next six months. Economists pay close attention to the numbers because consumer spending accounts for about 70 percent of U.S. 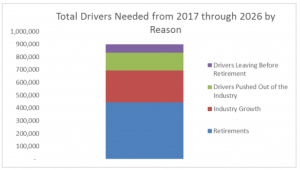 The average age of today’s trucker is 55, which means more and more drivers are retiring from the industry. According to the American Truckers Association, there are currently 50,000 unfilled truck driving positions. 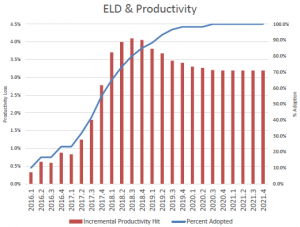 The Journal of Commerce states that the nationwide low unemployment rate and better wages among other industries are drawing people away from the trucking industry. As a generation of truck drivers “ages out” from the industry, immigrants have been filling a lot of the open positions. With the, “Buy America, Hire American” executive order, which the President signed last April, a lot of the current drivers will be in jeopardy of being deported or forced out of their job. This executive order includes a thorough review of employment based visa programs and Green Cards. When FEMA is activated due to a major event, it consumes 7%-10% of the available truck capacity. Two major hurricanes recently hit the US within two weeks of each other, one in Texas and one in Florida. 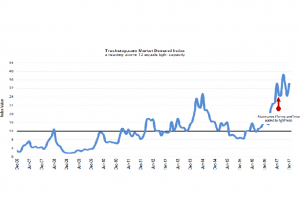 This created an artificial bubble in the capacity from which the market has not yet recovered. 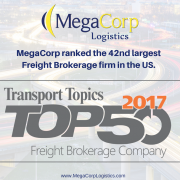 With these trucks out of the market, it placed increased pressure on the already strained trucking and logistics industry. The capacity for FEMA is pulled from all areas of the country – Washington, New York, Florida, California, etc. to help in the time of need. As expected and understood, FEMA has the ability to offer high paying rates to get many trucks to the affected areas ASAP which immediately affects the market. 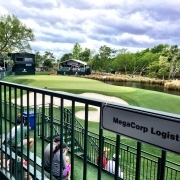 In addition to these natural disasters, the recent holidays and large winter storms such as Grayson have hindered the market from recovering. 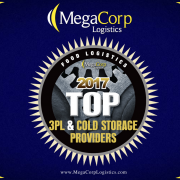 MegaCorp conducted a survey to their primary carrier data base and found that 94% of carriers are operating at 100% capacity. This indicates that their trucks are constantly on the road and they do not have extra trucks in need of loads. 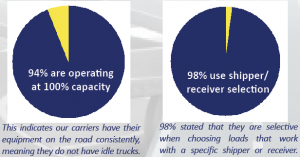 The survey also revealed that 98% carriers are selective in the loads they accept and are taking into account shipper and receiver loading and unloading times. MegaCorp has noticed a large increase in the carrier demand for accessorial charges, which are up 35% over last year.